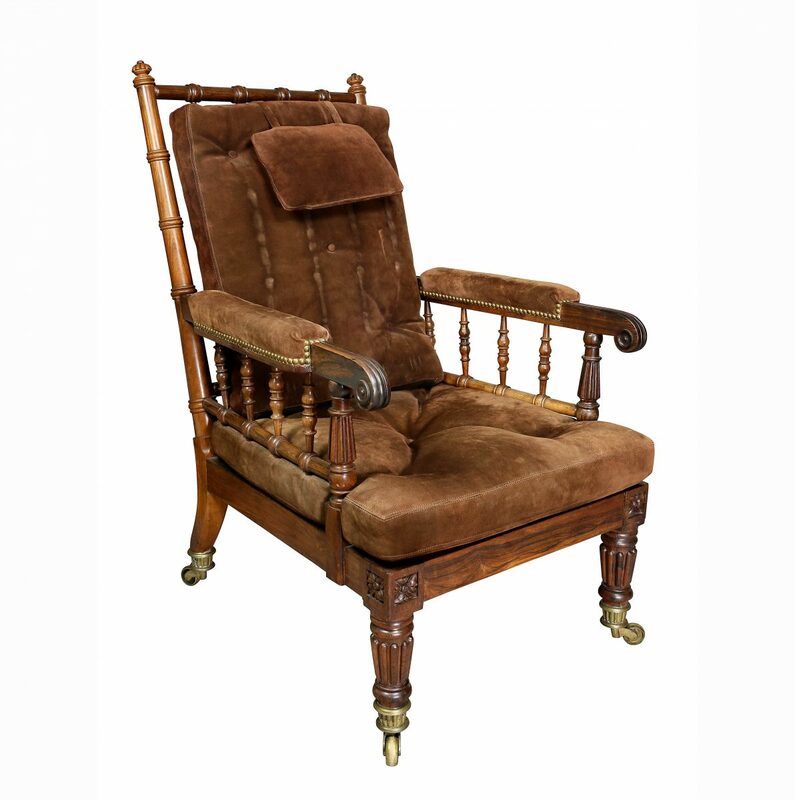 Of bergere form in need of upholstery with serpentine crest rail and down scrolled arms raised on circular tapered legs and pad feet. In good condition. H 38 in. x W 27.25 in. x D 26.5 in.